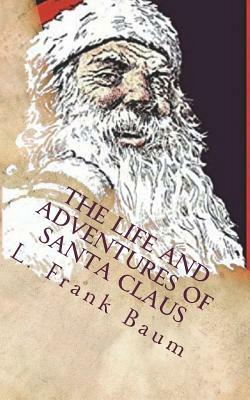 The Life and Adventures of Santa Claus By L. Frank Baum Draw close to the fire, all you who believe in the spirit of Christmas, whether you call it Santa Claus, or simply good will to men; and listen to the story of Nicholas the Wandering Orphan who became Nicholas the Wood-carver, a lover of little children. Follow him through his first years as a lonely little boy, who had the knack of carving playthings for children; then as a young man, busy over the little toys; then as a prosperous, fat, rosy old man, who overcomes all sorts of difficulties in order to attain his ambition, a toy for every child in the village. Learn how he started to drive a beautiful sleigh drawn by prancing reindeer; why he first came down a chimney; how he filled the first stocking; where the first Christmas tree was decorated; and finally how he came to be known as "Saint Nicholas" and "Santa Claus." We are delighted to publish this classic book as part of our extensive Classic Library collection. Many of the books in our collection have been out of print for decades, and therefore have not been accessible to the general public. The aim of our publishing program is to facilitate rapid access to this vast reservoir of literature, and our view is that this is a significant literary work, which deserves to be brought back into print after many decades. The contents of the vast majority of titles in the Classic Library have been scanned from the original works. To ensure a high quality product, each title has been meticulously hand curated by our staff. Our philosophy has been guided by a desire to provide the reader with a book that is as close as possible to ownership of the original work. We hope that you will enjoy this wonderful classic work, and that for you it becomes an enriching experience.